I graduated from Brigham Young University in Provo, Utah with a Bachelor of Science degree in Accounting and Information Systems and a Masters Degree in Accounting. Upon graduation, I moved to Arizona to start my career as an Accounting and Tax professional. After 20 successful years in the corporate sector, I decided to make a change and take a new direction in education. I believe teachers can have a positive influence on our children. I am excited to join Foothills Academy this year as the middle school science and life skills teacher and am looking forward to an amazing year! 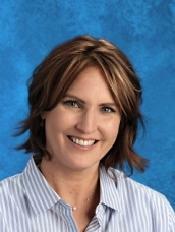 AccomplishmentsI’m a mother to four awesome children, two of which have attended or are attending Foothills Academy.